It seems like every day we hear about a new technology that we’re told will change our lives. But with the push toward the latest and greatest new gizmo, is something important being overlooked? 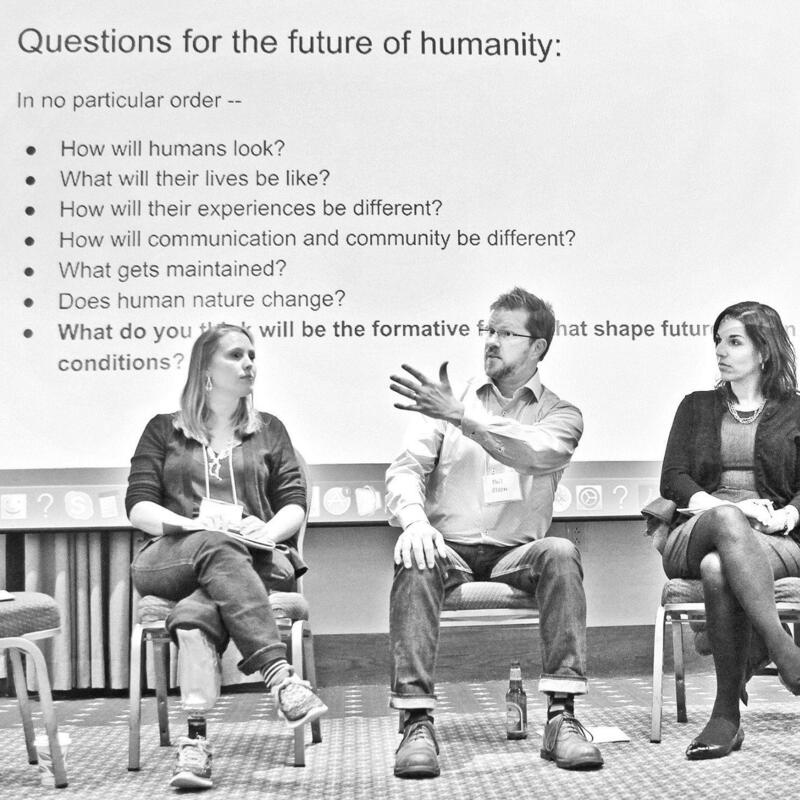 A recent symposium at Virginia Tech explored the question of what it means to be human in an increasingly technological world. Organizers of the conference refer to it as ‘Exploring Tech at (Virginia) Tech” or how does a school devoted to the development of new technologies see their impact and meaning. That’s the argument this group of professors, who all teach in Tech’s Department of Science Technology and Society, were there to explore to explore. Assistant Professor, Rebecca Hester says these are “issues that ‘Science and Technology Studies’ wants to bring to the foreground. She focuses on the ‘ethics of health’ and ‘biosecurity.’ “There are very few incentives for bringing forward questions of ethics and politics when so much of the political economy of higher education is funded by private corporations or government funders, who have real interest in developing these kinds of technologies. That’s a significant too. It’s not that scientists don’t want to have these discussions, but the incentives are not there for them to have them, or to take them ‘on board’ in meaningful ways." There may soon be more ways for students to explore this issues at Virginia Tech. Administrators are planning to expand the program and create a major in Science and Technology in Society. The plan is to enroll students in the new major for spring, 2019.